The 2018 Mercedes-Benz CLA technology reveals a lot about this model. It may be the most accessibly-priced vehicle in the Mercedes-Benz lineup, but its long list of standard and optional high-tech features makes it feel just as upscale and exclusive as any other luxury model on the roads right now. Discover for yourself just what the 2018 CLA is capable of is by taking a tour and test drive at Mercedes-Benz of Charleston. Your phone is a gateway to endless audio options. 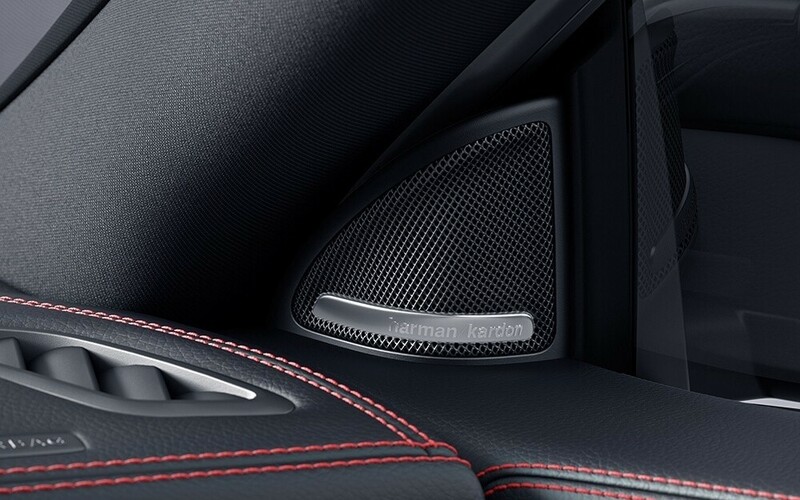 Thanks to a powerful Bluetooth®* signal integrated into the CLA, it's easy to stream whatever you want to listen to through the premium speakers in the cabin. This feature expands your audio options even further. Many of your favorite radio stations, from talk to the top 40, have exclusive HD versions with exciting extra content to offer. Getting to your destination is easy and accurate thanks to this advanced turn-by-turn navigation system. Detailed GPS tracking, 3D maps, and intuitive interfaces give you a constant source of information to reference. This technology creates a seamless link between your smartphone and your CLA. You can do basic things like unlock the doors or start the engine or rely on more advanced services like roadside assistance and luxury concierge service on the go. Having lots of high-tech features to use is only helpful when there is an intuitive way to use them. The latest CLA comes standard with an eight-inch high-resolution display screen that allows you to interface with every aspect of the vehicle. And rather than rely on confusing controls, this feature uses just two buttons and one knob. Within minutes, you will be able to master exactly how to use this system to your advantage. Our team is here to show you the complete lineup of 2018 Mercedes-Benz CLA technology and exactly how to use each feature completely. Make plans to tour our impressive inventory soon, and rely on our financing team to get you behind the wheel of this high-performance coupe. If you would like to schedule an appointment in advance or learn about other Mercedes-Benz technology features like Mercedes me, please contact us at your convenience. Don’t forget to ask about our new vehicle warranty as well!